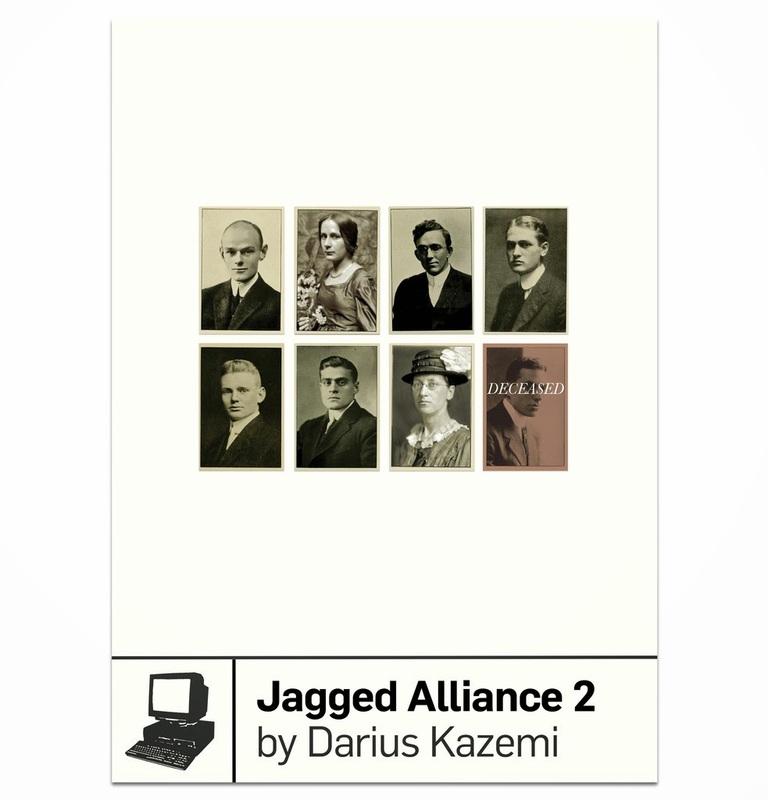 Much like Anna Anthropy's study of ZZT, Darius Kazemi's study of Jagged Alliance 2 for Boss Fight Books is a quick read but feels very comprehensive, analyzing the game in a holistic interdisciplinary cross-section across history, anthropology, politics, and computer science. Unlike Anna, Darius adopts a much more academic tone, and rarely inserts himself into his own narrative. And while the result is a convincing, well-written, and well-researched book, it ends up falling prey to certain weaknesses that were irrelevant to Anna's book... which fascinates me, because I want to write my own book on Half-Life 1 that somehow blends both of their sensibilities. Anna situates a lot of her analysis in her own childhood and lived experience. She more or less glosses over Tim Sweeney's role as original developer of ZZT because, to her, ZZT is not really about Tim Sweeney, but rather the user community and culture that formed around it. We accept that as her prerogative. Darius begins his book with a criticism of such an approach -- specifically, he didn't like Brendan Keogh's book "Killing is Harmless" with its highly subjective analysis and pesky hu-man emotions. He tells us he seeks to write a book with an "opposite" approach, one grounded more in fact and evidence. His methodology specifically involves a certain critical distance, moderated by a postmodern caveat that of course perfect objectivity is impossible and all evidence must be interpreted, etc. Jagged Alliance developer Sir-tech started as a Canadian manufacturing company that mostly sold souvenir spoons to US tourists visiting Canada, yet could not sell the same "quality product" in the United States itself. This beginning parable is a key framing device -- it mirrors Sir-tech's history as a Canadian game developer with "quality product" trying to cater to a US-based retail ecosystem and audience obsessed with mercenary gun culture, while trying to maintain its own Canadian sensibilities and interests in fantasy fun and silly space aliens. For Anna, ZZT was personal and existed on the internet. For Darius, JA2 is geopolitical and situated in the physical world of shelf space (or bargain bins) in brick-and-mortar retail chains. However, this is where Darius' book is weaker than it would like to be: if you want to make a strong argument that links something to national politics, then I think you should articulate what those politics are. Darius has choice words for American gun culture, but barely devotes a couple pages to Canadian culture. Does Canada have a gun culture? If not, why? How should I make sense of: "the estimated rate of private gun ownership, both licit and illicit, in Canada [was] 23.82 firearms per 100 people" -- who owns those guns and how do they think of them? Why is American gun culture uniquely American, or at least, why did it seem like that to the Sir-tech developers? Later in the book, he links JA2's relatively diverse character roster to a Canadian multiculturalism that emphasizes a "cultural mosaic" of distinct races and ethnicities, versus XCOM's more American "race as generic interchangeable variable" / "melting pot" assimilationist policy. This is a strong and convincing connection, but instead of unpacking it further, Darius simply cites the Canadian government's official webpage on the cultural mosaic in a footnote, and then the chapter just ends on that same page. We're just supposed to take what a government says about itself at face value? It's weird to bring up something and then walk out the door like that. What is some common criticism against the cultural mosaic as a model for multiculturalism? Is it criticism from neo-fascists, or is it from left-wing Canadian immigrants who take issue with Canadian national myths? Is any of this criticism convincing or relevant? What were contemporary attitudes toward the cultural mosaic back when JA2 was being developed? Do most Canadians buy into it, the way Americans are supposed to buy into the melting pot? Was this really a case of enlightened Canadian intellectuals tricking some gun-toting American gamers into eating a few vegetables? Answering all those questions would probably require writing a whole other book, and maybe no one would read that book, but at least you could dedicate more than a paragraph to these topics! I think this book's stated approach -- analytical, academic -- makes this omission feel conspicuous. Academic rigor would demand, at least, addressing why you didn't want to get into it. Instead, I can only guess that (a) Darius found it irrelevant, (b) the book or chapter was getting too long and it was edited out, or (c) he didn't anticipate such a reader response or it never occurred to him. All of those possibilities relate to scope. Where do you draw that line with research and/or writing? What amount of analysis is interesting and accessible and relevant, what is overly academic and fussy? Personally for me, Darius stopped a bit too short for my liking because I find this relationship between Canada and the US so fascinating -- like, did you know that the US government pays people to make fun of Canada with snarky TV recaps? ("... the U.S.-Canadian border, [...] which most Americans associate with snow blowing back and forth across an imaginary line") ... And did you know that most of the jingoistic counter-terrorism Tom Clancy action shooter games are made by Canadian and European developers projecting their own ideas of what American audiences want? That's the only beef I had with this book, that I wanted to know more, and I think it's a good beef to have with a book. It means Darius successfully convinced me that JA2 was a game worth thinking about. Despite my methodological problem with it, I think this is a good insightful book and I recommend reading it.